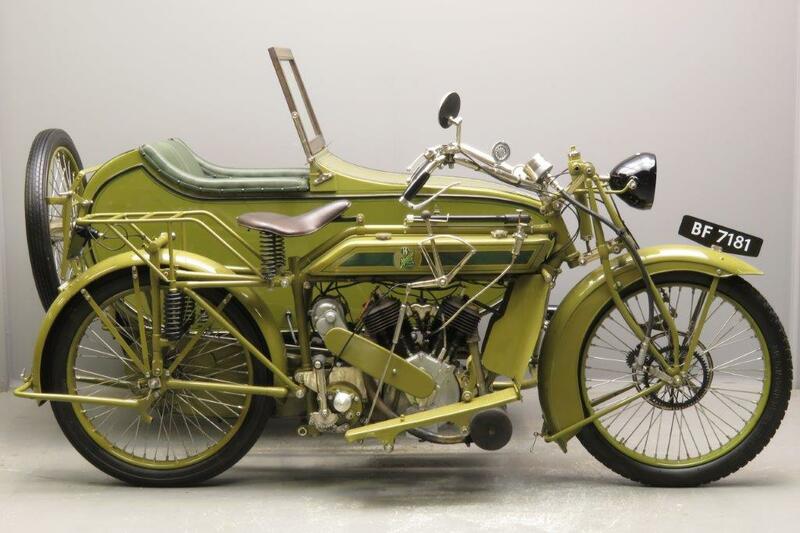 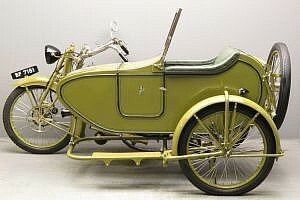 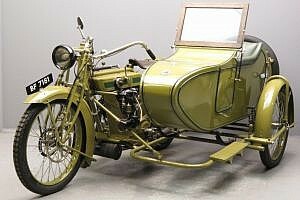 Charlie and Harry Collier produced their first motorcycle in 1899. 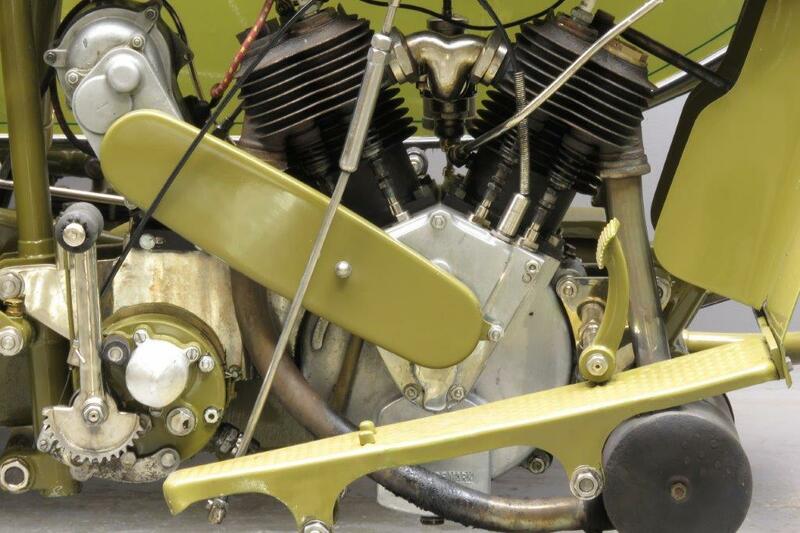 The first Matchless machines had engines manufactured by De Dion Bouton, MMC and JAP. Matchless were an early contester on the race circuits and they won the 1907 TT races on the Isle of Man in the single cylinder class. 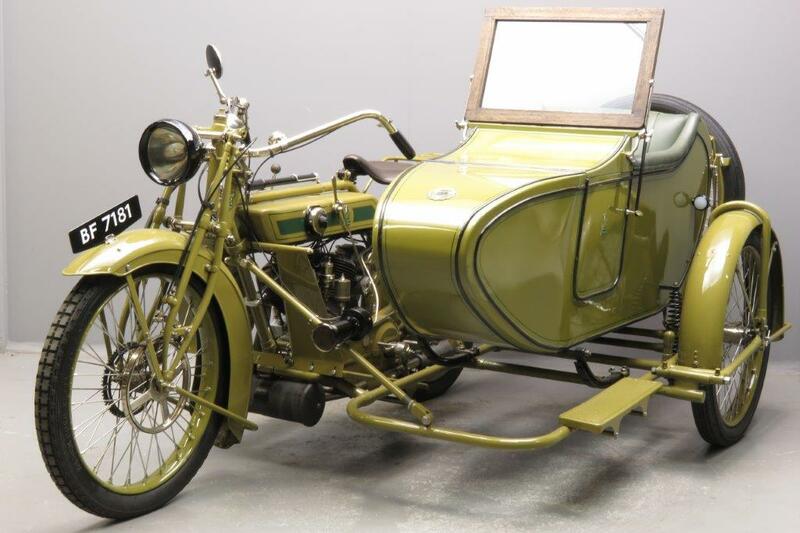 In 1908 they had to make do with second place, but 1909 and 1910 were winners again and the factory had proven their machines were Matchless indeed. 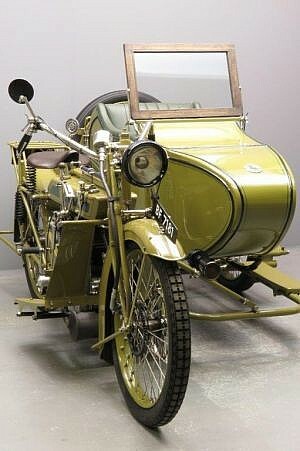 The model we offer here was designed especially for sidecar use. 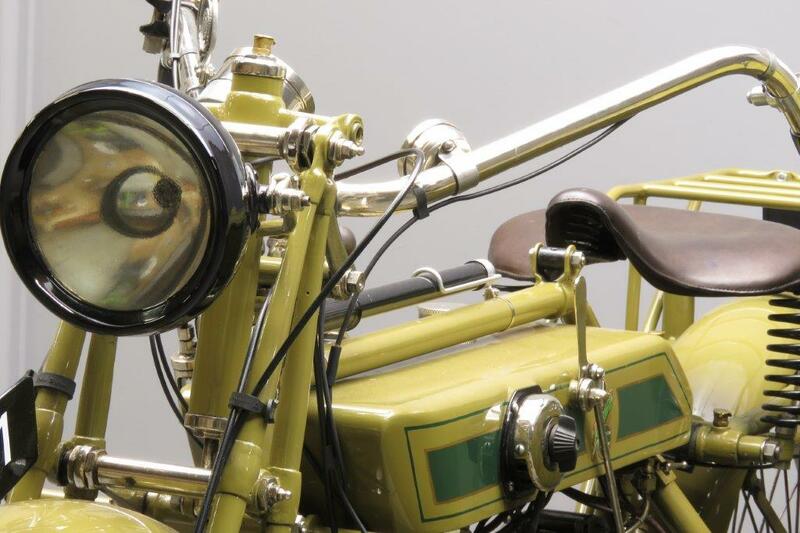 It is powered by a sturdy, reliable 1000cc v-twin JAP engine and is equipped with 1920s luxuries such as rear springing and all electric lighting. 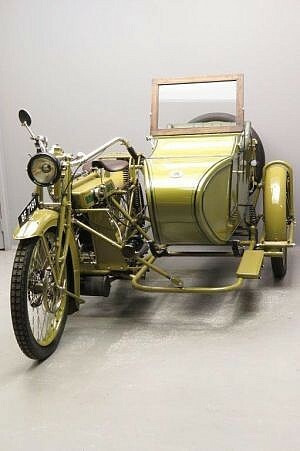 A mighty combination indeed, very popular in its day as comfortable long distance family transport. This machine has been restored and comes complete with leg protection on the footboards, hand-controlled 3 speed gearbox, foot controlled clutch, front and rear springing, fully sprung sidecar with widscreen and door, luggage rack with interchangeable spare wheel and 28×3 tyres. 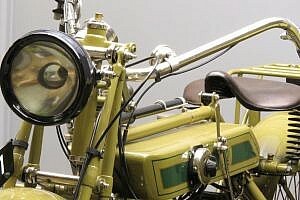 On the handlebars we find a Cowey speedometer and a watch. 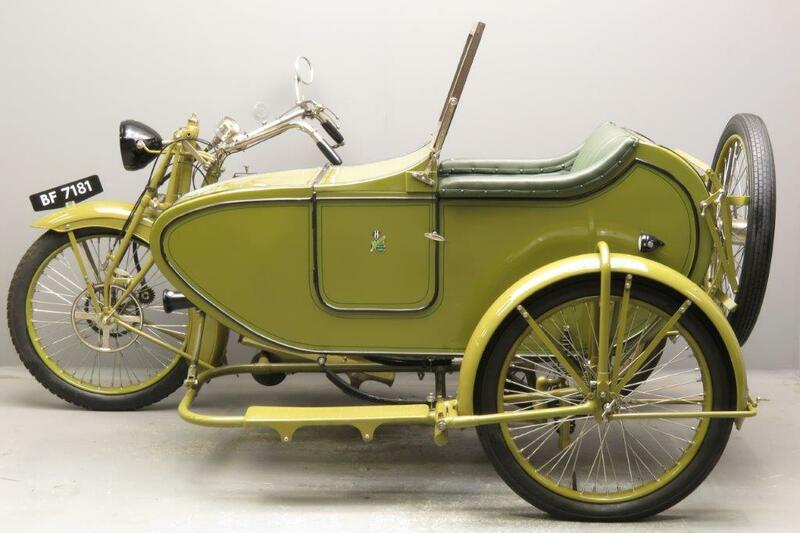 A really impressive machine that promises relaxed riding pleasure for the whole family!